Martin Scorsese (73), considered to be one of America’s most significant and influential filmmakers of his generation, was the guest of honor at the Cinémathèque française in Paris only very recently, where he introduced the Cinémathèque’s upcoming exhibition: for the next four months (until February 14, 2016), they will be honoring and celebrating his career in pictures as a prominent director, producer, screenwriter and actor. 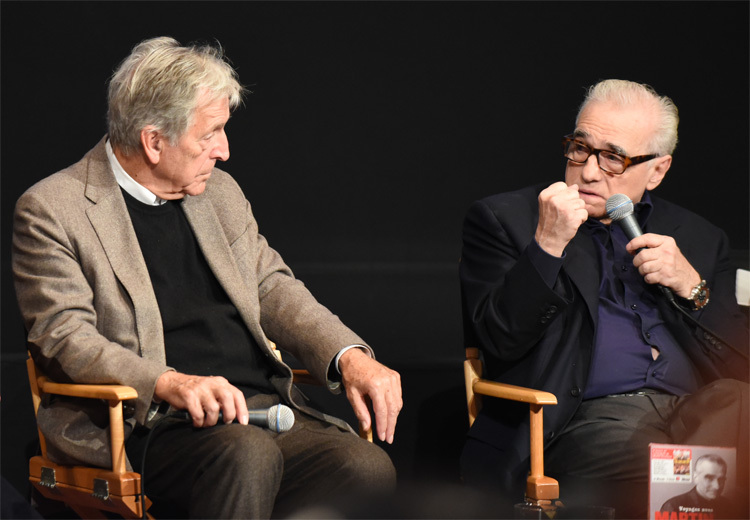 Mr. Scorsese was joined by Cinémathèque president and Academy Award-winning filmmaker Costa-Gavras on the stage of the salle Henri Langlois where they talked about the exhibition, the numerous personal objects and memorabilia on display at the exhibition, including several of Mr. Scorsese’s original storyboards. 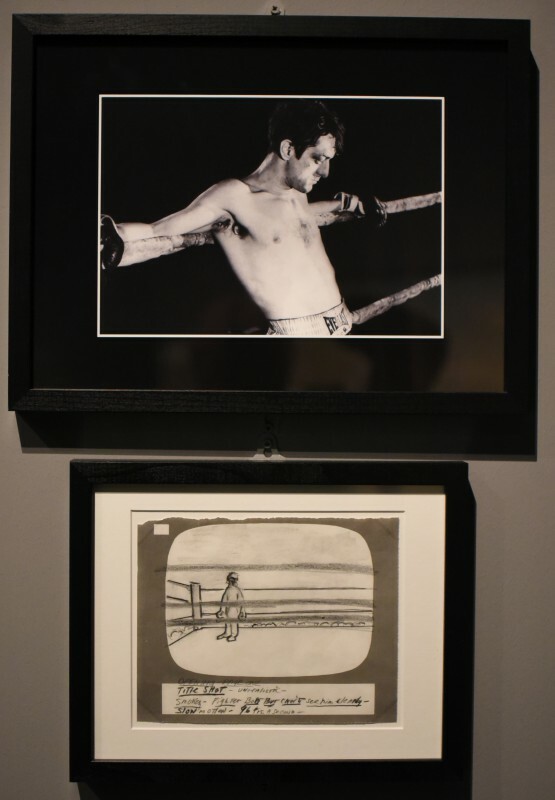 The exhibition was first organized by the Deutsche Kinemathek – Museum für Film und Fernsehen from January until May 2013. 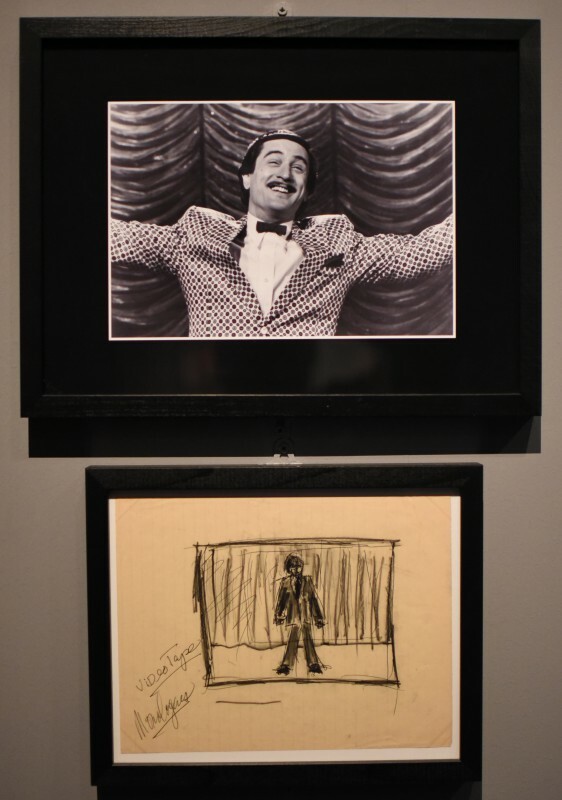 Storyboards tell the concept of a film before filming begins and the relationship of this concept to contemporary art, so initially the Deutsche Kinemathek got in touch with Mr. Scorsese to ask if they could exhibit a number of his storyboards from “Taxi Driver” (1976), which is one of the highlights of the exhibition. 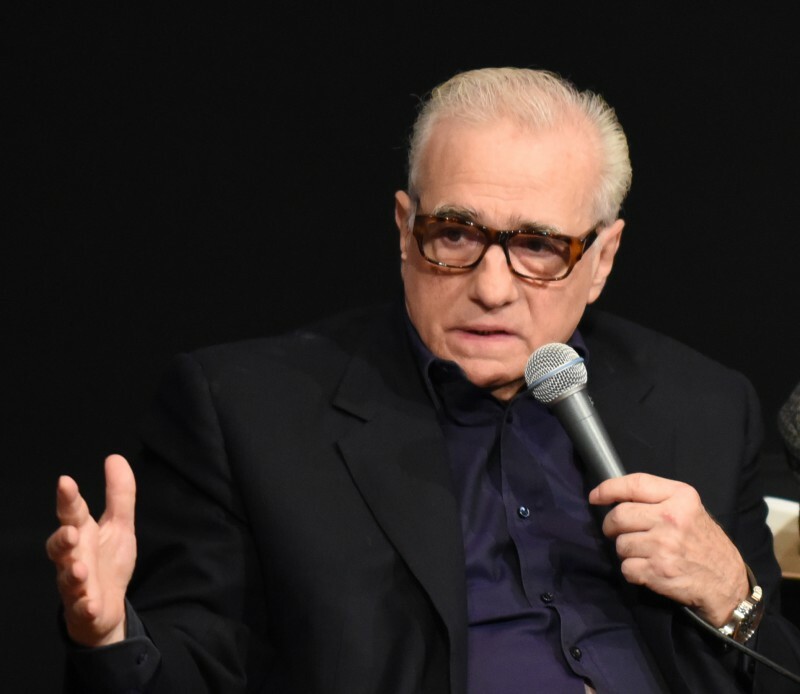 It was no problem at all to get them, and since Mr. Scorsese was very frank, very open – and if he really enjoyed presentations of his work in an exhibition – why not ask him to dedicate an exhibition to his entire body of work? He agreed, and when the exhibition opened in Berlin, he couldn’t come over because of the aftermath of Hurricane Sandy (October 2012): the shooting and production of his last film “The Wolf of Wall Street” got delayed, so he sent a video message, sitting in a chair and looking around, looking at the walls, saying, ‘I must have given so many things, because there are so many things missing on these walls.’ Now, they can all be seen at the Cinémathèque française in Paris. How important are storyboards to you when you are preparing a film? I am accustomed to thinking in terms of camera movement, scenes, edited sequences, and also framing – whether it’s a single or a double shot – and who’s in the frame to make sure they’re balancing each other. But basically it goes back to when I was very young. I was not able to play sports or go out much, so I used to draw pictures in my little room. I usually do the storyboards myself. I always wanted to draw, I wanted to be an artist. Sometimes I use color, but primarily I like to use a special ebony pencil that I got. The pressure of the soft lead on the page indicates to me the angle or the movement. That’s why I often have to look at the original drawing, rather than the xerox. That’s also why I really do enjoy editing: it reminds me of being in a room all by myself, or in this case with my friend [editor] Thelma Schoonmaker. To be clear, since I’ve started to do these drawings, for the past fifteen years or so, they have been getting smaller and smaller, and they are becoming more like notes and indications. Drawings are now made on the set very often. For example, the “Cape Fear”  action sequence that is storyboarded by professional storyboarders, comes from my original notes of drawings. In other words, for the whole crew to see, they couldn’t understand what I was drawing, so we had someone coming in to make the storyboards, based on my own drawings. That’s usually the way it’s been going now. Another reason for storyboarding so much, was, I think – to a certain extent – for protection against the time schedule shooting. In the exhibition, there is this film poster you designed in 1952, when you were ten years old, called “The Eternal City”, ‘directed and produced’ by Martin Scorsese. How could you at this young age imagine yourself in the Hollywood system then with actors like Marlon Brando, Jack Palance, Virginia Mayo, Claire Bloom,…? It was more than a dream, wasn’t it? Again, I started to make those drawings, and I also began making small films, usually in black and white and then in color, but I lost most of those. Then the new Widescreen opened, and I got fascinated by the biblical epics and films about the ancient world – Rome particularly – so I tried to make this film “The Eternal City”, but I don’t think I ever finished it (laughs). And ‘directed and produced by’ – obviously I must have seen a number of Howard Hawks films – that Hawksian thing, ‘directed and produced’ and not ‘produced and directed’. It was even a Marsco Production, shot in Marsco Color. Technicolor wasn’t good enough anymore, and it was 75 mm, not 70 mm (laughs). Obviously, I wound up shooting in hallways. You are based in New York, you make your films in New York. How do you get and stay in touch with your investors, the major studios, etc.? I have been very lucky over the years to be involved with people who for the most part, maybe eighty percent of the time, actually want to work on a film with me, and want to make a film of mine. There have been long periods when that didn’t happen, the mid-1980s were very difficult, but finally after “Goodfellas” , things picked up again. Invariably I must say, since starting out at Warner Brothers in the early 1970s, there are people who believe in what I do, and so I’ve had a very lucky relationship that way. But it’s not always a simple situation: there’s always the money, there’s always the budget, but I’m more concerned about the creative freedom. Budgets are always – always! – a problem. It doesn’t matter if it’s a hundred dollars or a hundred million. How about the new digital technology: does it give you more freedom now compared to your earlier days? Yes, John Cassavetes even used a technique with cameras which gave him this freedom of shooting, and there’s no doubt that the freedom which is available today, is remarkable. Digital often helps and I’ve made certain films where I always try to get back to a smaller unit. That’s one of the reasons why I do documentaries and music films too: you have the freedom to move, without moving 200 or 300 people. If you look at a film like “Hugo” , when are you directing and when do the special effects take over your job? I think there’s a naiveté or ignorance about certain technical things. So if they tell me they can’t do this kind of conversion or special treatment, I’d say, ‘No no, go further.’ Even up to a point where I start to get a headache. And then I realize, ‘Ah, I see what they mean, okay, that’s good!’ And in the case of “Hugo” , every time we set the camera, there was a new way of making cinema, a new way I could see the world around me, even though I may have storyboarded the picture. So it was a learning experience every time. 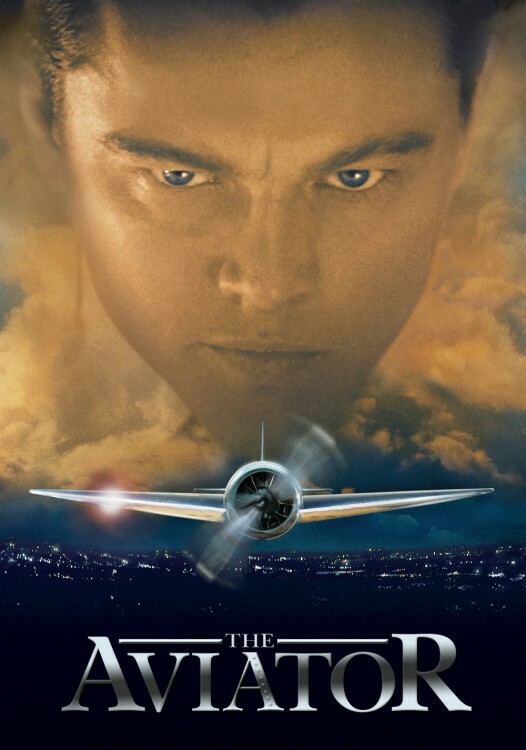 For me, this has been a process that began with “The Aviator” . When they told me what would be possible to bring up there on the screen, they said things like, ‘I can give you this, and I can give you this.’ And then I’d say, ‘Well, I would like to have that.’ ‘Okay, I can do that!’ And then I said, ‘And can we put a light there?’ ‘No, I can’t do that.’ So I learned a lot on “The Aviator”  to what I can ask for and what I know I can pretend not to know. And they’ll come up with a way. By the time we did “Hugo” , that was the big challenge. That was huge. I didn’t realize it (laughs). Earlier I intended “Gangs of New York”  and “The Aviator” to be a bigger spectacle, particularly “The Aviator”, about this American pioneer in the air, Hollywood and all that sort of thing, the hidden illness, the hidden disease, his ego. But with all the other films I made, we never thought they’d be that big: there’s always this kind of enthusiasm, and then we realize there’s going to be a problem (laughs). In France, we are very concerned and preoccupied about the preservation and restoration of movies by putting them back on a 35mm negative. Do you share that idea? Yes, I do believe that. A new negative is made, and the prints are struck from that later. There’s no doubt. The biggest problem now is the migration of digital. Ten years ago, when I was here at the Cinémathèque and we talked about the Film Foundation and the restoration of film, digital was just beginning to be used and many of the films were being restored fully chemically. Since then, many of those negatives are not in very good shape. So more and more digitizing is going to be the restoration of film, but again, the only stable material at this point, is the negative. Could you tell something about your upcoming TV series “Vynil” that you are producing right now? It is a project that Mick Jagger suggested to me in 1996 or 1997 to make a film about the music business, very different from the music world or the rock ‘n roll performers. It took many years, we tried many different forms for a long feature film, but I didn’t really know where to stop: there are so many stories, so many transitions and changes, and so it became a series. I did the pilot and it’s like a film, it’s about an hour and fifty-five minutes, we’re mixing the sound on that now. The last episode is being shot right now, episode 10. And so it became a series, which takes place in 1973 in New York, but it spans a lot of time. You once said that Italian film director Pier Paolo Pasolini [1922-1975] was very important to you. Could you tell how he has influenced you and if Pasolini’s films are still contemporary now, forty years after his death? Pasolini is never irrelevant. Over the years I’ve read everything about him, but that came after the films, though. I saw “Accattone”  at a press screening at the New York Film Festival, that must have been in 1966, I think. It had a profound effect on me because of its truthfulness in dealing with that class of people. I grew up in an area not as impoverished, but very often with the same instincts and the same desperation from a lot of people. It reminds me of the depiction and the description of the poorer neighborhoods in Céline’s book ‘Journey to the End in the Night’ . I thought, ‘Wow, this is the truth, this is what it is, he really knows it.’ But the thing about Pasolini, as I could not read Céline’s original French work, he brings the poetry and the beauty of the human being. And, of course, he did the best film on the gospel, “The Gospel According to Matthew” [“Il vangelo secondo Matteo”, 1964], which is even dubbed in English and that version works too. Do you feel that society today is affecting cinema, or that cinema is having an influence on society? That’s a difficult question, as I am no longer able to really enjoy a film by going to a theatre, and so I am experiencing cinema in a different way, but my impression – this may not be the absolute accuracy – is that society has influenced cinema, at least where I come from in America. I feel that the kinds of stories that are being made for the most part indicate that the split in cinema is very clear now: you have the audience participation in the action/adventure films, and then there are the more modern, budgeted and simpler productions which to a certain extent – even though many have been Academy Award winners – are still marginalizing a lot of the artists. Yet, you can see these films everywhere now, and even on a computer, so they’re reaching more people. The bigger theatres are meant for some wild, visual all experience super productions. Whether that’s good or bad? I come from the old days, and I make films that are big too, in a sense, so it’s not my place to speak that way. But it’s a complicated matter. The danger is that the young people who are experiencing cinema this way, believe that is what cinema is. We know that cinema is something else also – besides, along with. But now, it’s just a place where you go to see beautifully and extraordinary made films, but what are they saying? So in a sense those films create the audience, and we have missed now a generation. This is why it’s important to preserve the older films, even if it is a film that’s only five years old. So preserve them and show them anywhere you can, on a computer – anything – to make them aware that cinema is also something beyond just the visual experience of a super production. “Cabiria” was a super production, made in 1914, right? People just wanted to see it. The film I made when I was eleven, was a super production! (Laughs.) But at that time, they were co-existent, now I don’t feel that’s the case. The big productions of Chris Nolan for example, they combine both: an incredible mind and beautifully made films on a big scale, so it is possible, there is room. I am just worried about the young generation and their impression of what cinema is. How do you explain the importance of music in your films? When I grew up, I was always inside and we had a little phonograph. 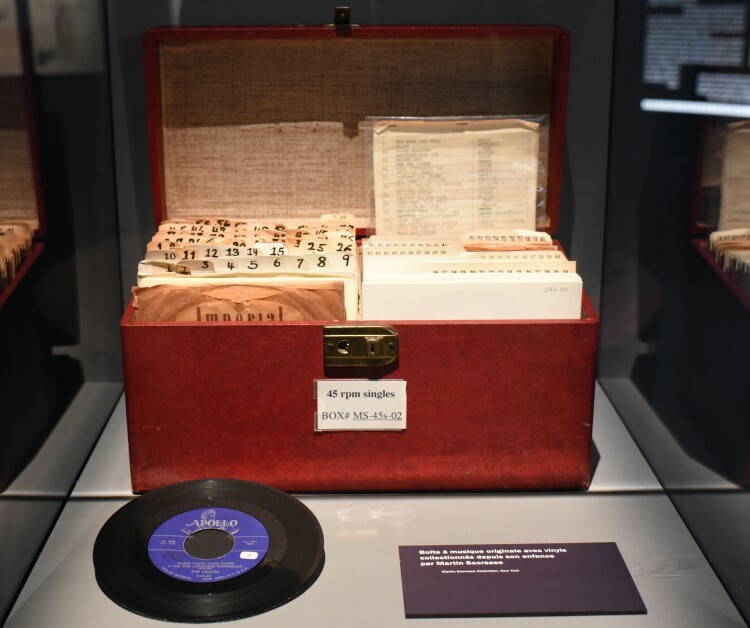 I was listening to the 78 rpm records my father had, many of them from the big band swing era, but also Django Reinhardt, which is the first music I remember, really imagining things – images – from listening to improvisations of him. The music started giving me impressions of movement, it just burst my imagination open. So music for me always came first, in a way. When I grew up with my brother and my parents, there was not a tradition of reading. There were no books, but there was lots of visual storytelling, lots of arguments, lots of discussions and lots of music. The music, whether it was Bing Crosby or classical music, always was on the background in my life around me. I have always been associating certain things with songs and with pieces of music. That’s why I’ve tried to use musical scores that way since “Mean Streets” . 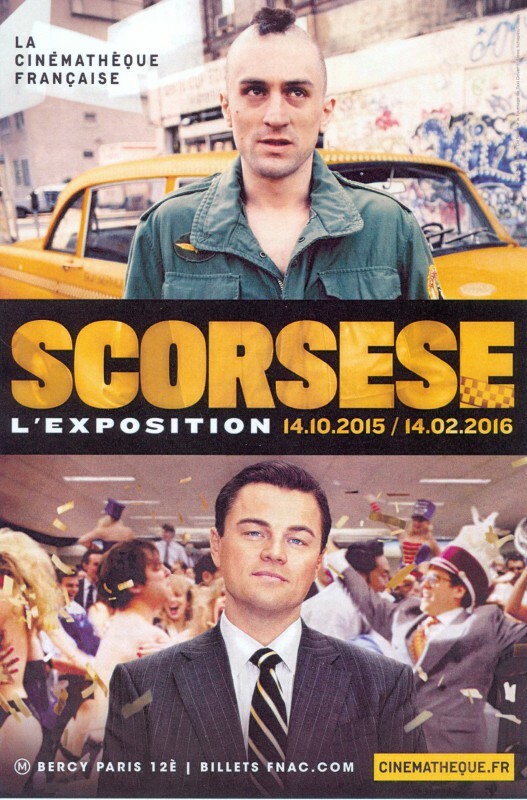 Robert De Niro and Leonardo DiCaprio are two actors who are very instrumental in your career. Is there an explanation for that? What do they have in common? Trust. With Robert De Niro and myself in 1972, we were both on the same level, I was not working with a big movie star then. So we just stayed together, this was a professional relationship that was tested many times, sometimes not well, other times we overcame whatever problems. Then it took many years before I was lucky enough to find someone else who had the same sense of trust, and that was Leo DiCaprio. It helped that he liked the movies I had made back in the 1970s and early 1980s. So after “Gangs of New York” , and certainly after “The Aviator” , I found that he was somebody I liked to work with, someone who I could keep finding the way it was with De Niro who could keep pushing me and I could push him, and we’d find something that we’d think that was interesting. Leo too, very much so, finding, twisting, turning, and he’s working with friends. Even though I am thirty years older, he would come to me and say, ‘Listen to this record, isn’t it Louis Jordan?’ And I’d say, ‘Of course, it’s Louis Jordan!’ And he’d be playing The Mills Brothers to me, and so it’s interesting. I like being with Bob and with Leo. Daniel Day-Lewis also, although we only did “The Age of Innocence”  and “Gangs of New York”  together. There are a number of others, but primarily with De Niro and DiCaprio, I think we brought a lot out in each other. What did you think about the exhibition when it was first proposed to you, and how does it feel now to be the central character of the exhibition? This is the first time I’ve seen it, I was unable to go to the Berlin exhibition . This has been a very lucky coincidence to take the time out and being here in Paris and then go out to Lyon. I didn’t expect the scale of it, to see so many personal items – I wondered where they all were (laughs). But to see so many personal items of my mother, my father, my friends and myself, it’s very overwhelming, I am very moved by it. In the beginning, I thought, ‘An exhibition with the dining table of my parents?’ (Laughs.) By the way, that was the dining table that they bought in 1971, the table and the chairs which they used for dinner when everybody came over like, of course, De Niro, and also Francis Ford Coppola, Cassavetes, Peter Falk… And when my parents moved to an apartment on the 17th floor, an apartment block with an elevator because it was hard for them to climb up the stairs, the first people who came over for dinner were Sergio Leone and Elio Petri. So a lot happened around that table. Posted in Director-screenwriter, Film Talk, Q&A and tagged Accattone, Bing Crosby, Cabiria, Cape Fear, Céline, Christopher Nolan, Cinémathèque française, Claire Bloom, Costa-Gavras, Daniel-Day Lewis, Deutsche Kinemathek, Django Reinhardt, Elio Petri, Francis Ford Coppola, Gangs of New York, Goodfellas, Henri Langlois, Hugo, Il vangelo secondo Matteo, Jack Palance, John Cassavetes, Journey to the End in the Night, Leonardo DiCaprio, Louis Jordan, Marlon Brando, Martin Scorsese, Mean Streets, Mick Jagger, Peter Falk, Pier Paolo Pasolini, Raging Bull, Robert De Niro, Sergio Leone, Taxi Driver, Technicolor, The Age of Innocence, The Aviator, The Eternal City, The Gospel According to Matthew, The Mills Brothers, The Woilf of Wall Street, Thelma Schoonmaker, Virginia Mayo, Vynil, Warner Brothers. Bookmark the permalink.